How Can You Change Fashion Fast? 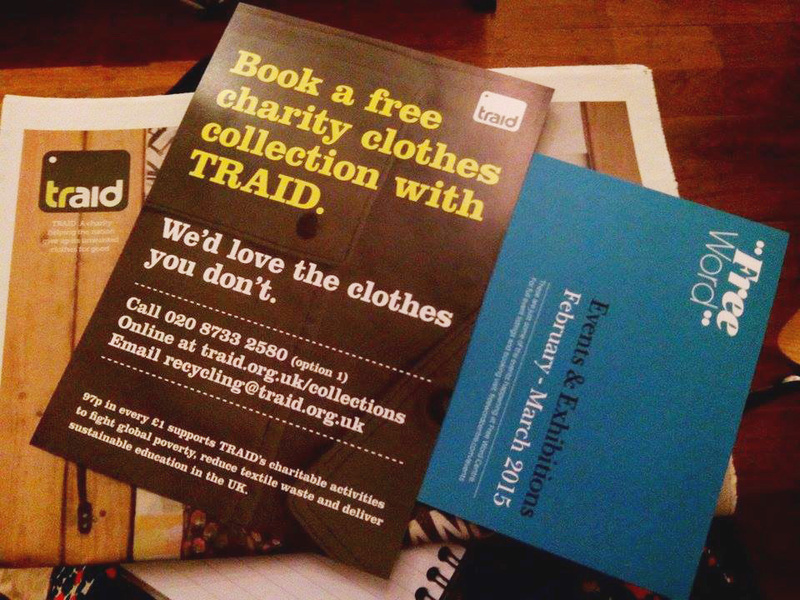 We attended a talk hosted by Traid, a charitable organisation focusing on the negative social and environmental effects of carelessly throwing away clothes. The topic of this particular event was ‘How to Change Fashion Fast’. 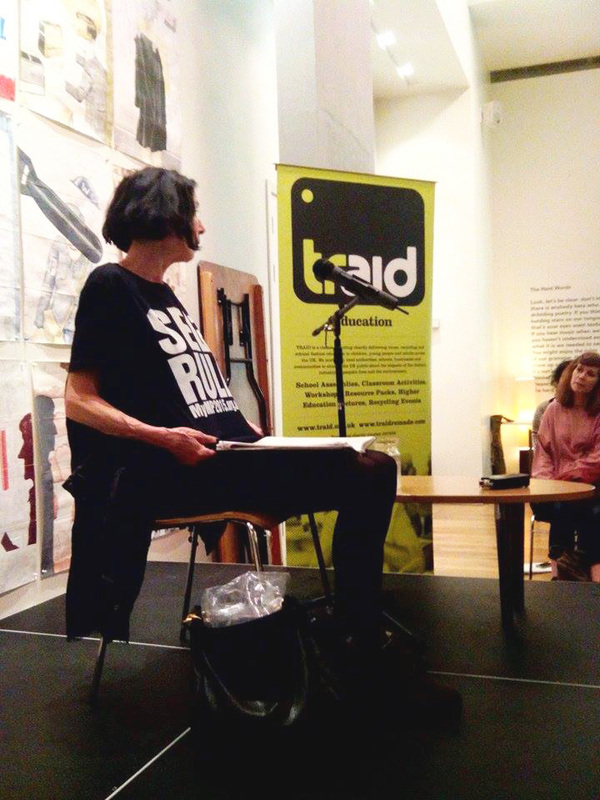 Politically outspoken British designer Katherine Hamnett took to the stage and shared her thoughts on the current state of the fashion industry, outlining her ideas on how to implement change in the process. 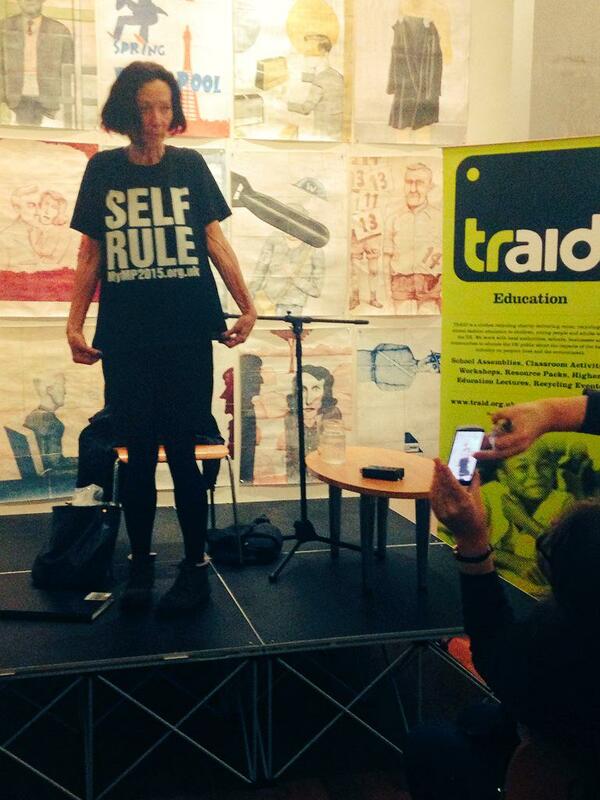 The event kicked off with Hamnett referring to the industry as a mirror of today’s society. Not one to pull any punches, the next 30 minutes saw her explain at length the industry’s contribution (or lack thereof) to solving the issues of global warming and climate change. Hamnett went on to discuss what she described as the ‘race to the bottom’ an expression used to highlight the rivalry between manufacturing companies in the developing world. The likes of Bangladesh, Cambodia and Vietnam are forced to compete to ensure the lowest possible costs for high street retailing just to ensure continued business, often at the expense of the garment workers. Inhumane working conditions in blatant disregard of human rights are a by-product of the ‘race to the bottom’ manifesto, with 12 hour shifts on as little as $2 a day the norm. Lack of monitoring and control within factories only serves to perpetuate these issues, unfortunately making exact figures unobtainable. Not only are labourers forced to work under dire circumstances, but the environments in which they spend the majority of their time are far from safe. Pesticides prove not only detrimental to the health of the workers but have also been shown to have adverse effects on the communities they inhabit. We briefly touched upon the effects of ingesting pesticides in our blog posts on World Health day and Organic food – two topics which Hamnett elaborated on slightly. She gave the compelling examples of children consistently born with lower IQ’s as a result of their mothers contaminated diets and the farmers forced to rely on contaminated soil and artificial fertiliser because they simply have no other option. With the audience on the edge of their seats, Hamnett began to outline her plan of action. “Change can only occur once consumers put pressure on the brands responsible.” Stating this course of action extended far beyond boycotting, “Demonstrations and petitions will only get you so far…if we can maintain a dialogue with MP’s and fight for regulations being placed on clothing imports, we could see a positive change almost immediately”. Here at People Tree we believe such a change is long overdue. The campaign for eco-friendly materials and regulation could transform the world of production, potentially reviving Europe from its slumber and ushering in a new age for manufacture and distribution. Can you imagine a world where consumer’s purchase based on quality instead of cost? Currently skills like clothing repair, which were once invaluable, lie submerged in the consciousness of the customer yet, “we will always need clothes and we will always need these skills”, remarked Hamnett. Consumers are not making a discernible connection between the clothing they buy and their countries of origin. The seductive allure of affordable high street clothing deters shoppers from asking important questions and it is our reluctance to demand equality that implies a level of acceptance. Make no mistake, it is not ok. Nothing terrifies the brands advocating the mistreatment of workers more than potential decline in revenue. Don’t buy into slavery, be the change. Posted in Fashion, Lifestyle, People Tree, Press•Tagged ethical, fast fashion, How to change fast fashion, Katherine Hamnett, People Tree, Slow Fashion, sustainable, Traid, Traidtalks•by People Tree•Leave a Comment on How Can You Change Fashion Fast?